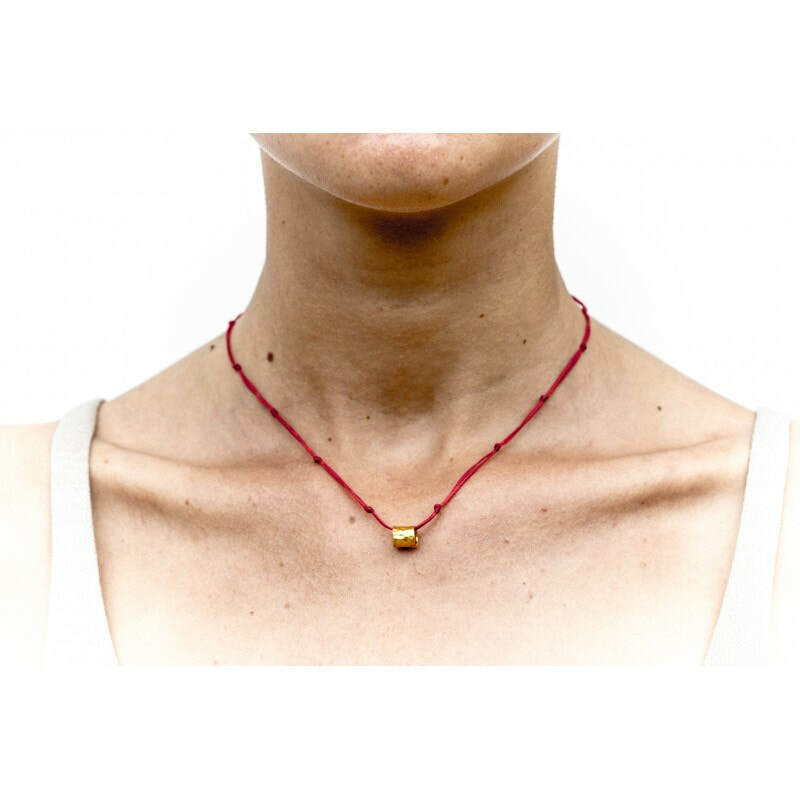 Each Mantra Bead is a scroll made from 24 karat organic pure gold, imbued with sound and inscribed on the scroll is a mantra – a sacred prayer designed to awaken us to our divine nature. The scroll is then rolled into a bead and sealed with fire to encapsulate its vibration. How Does The Mantra Bead Work? Just like any substance, sound or symbol, the Mantra Bead vibrates a unique essence within your energy body. 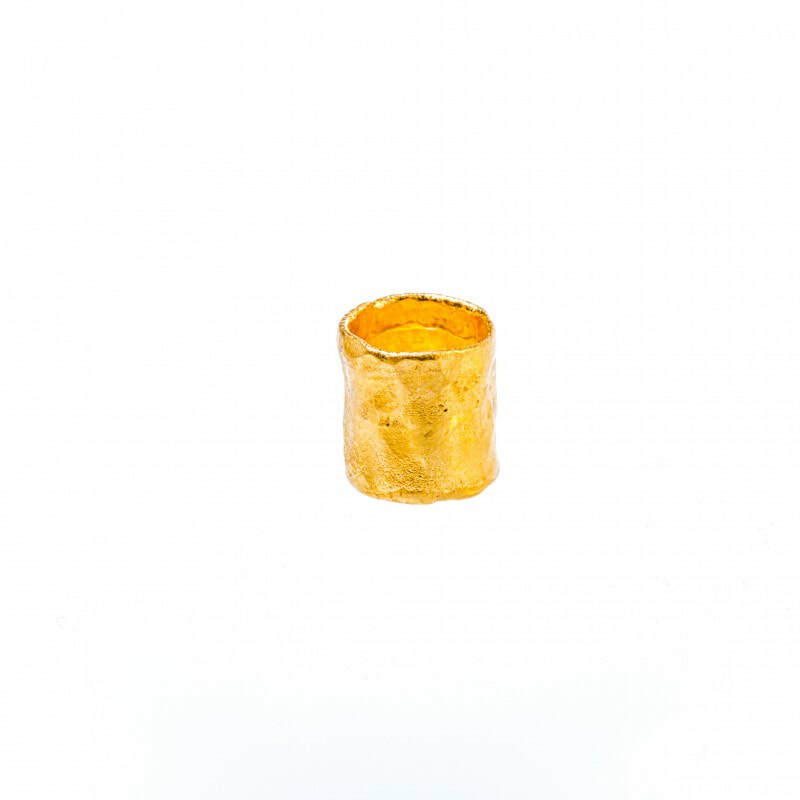 Gold has long been held to be an alchemical transmitter of golden light and when it is imbued with the energy of ancient mantras from the East, it ignites the mantra’s essential vibration. 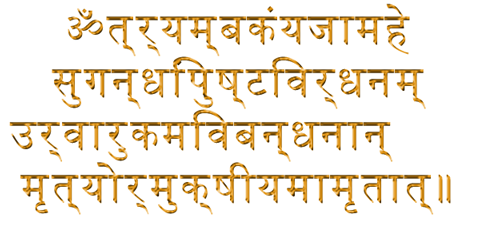 Miten points out that: “The Sanskrit language is energy based. It is not a descriptive language – it carries the actual sound equivalent of the manifestation. Hence, the sound ‘prem’ – which translates as ‘love’ in English – is the actual energetic vibration of love. So, repetitive chanting of the sound ‘prem’ opens our perception, and brings us in touch with a direct, personal experience of love itself. 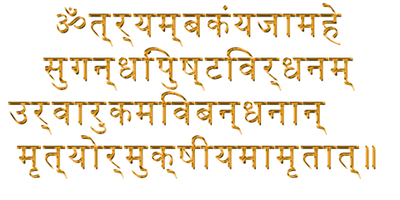 Each mantra is a key that opens a particular door into a place of inner peace and calm." The pure gold looks so alive and potent - it is simply beautiful to wear. Enjoy the frequency of the gold and the mantra of your choice vibrating within you. Use it as a reminder by holding your hands on the mantra bead and tune in to the essence of it, especially in challenging moments. Meditate with your Mantra Bead. Find a comfortable position, and express your gratitude for the gold and the mantra for being present in your life. With relaxed and deep breaths allow its power to grow within you, gently removing any energetic blocks while enriching every cell. Feel it shining from within. Continue until you feel yourself vibrating as one with it. Enjoy! 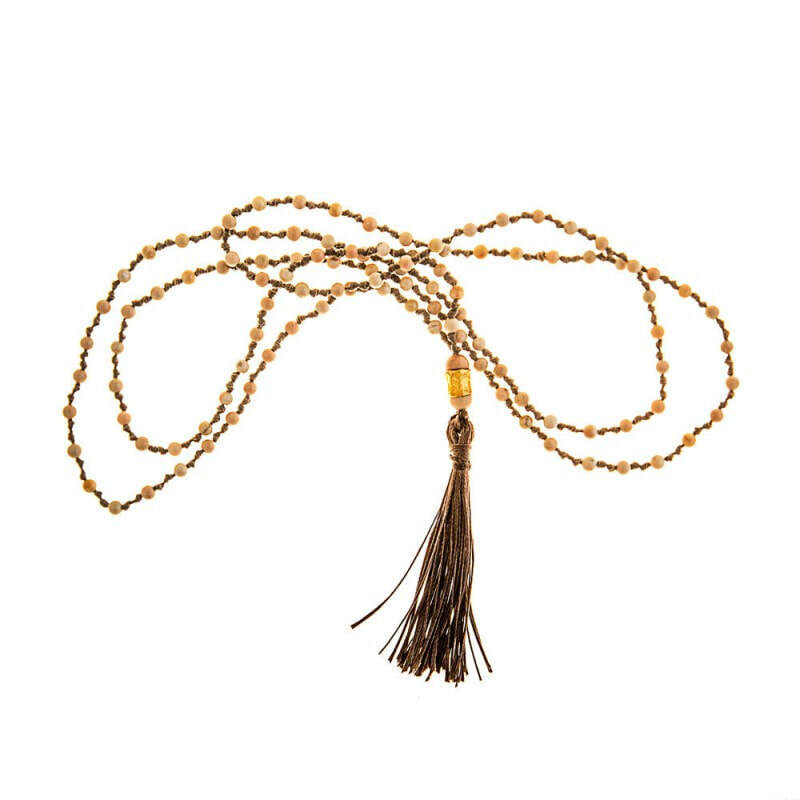 First, connect to the essence of your Mantra Bead. Now bring to mind a question, a pattern or anything you wish to contemplate. 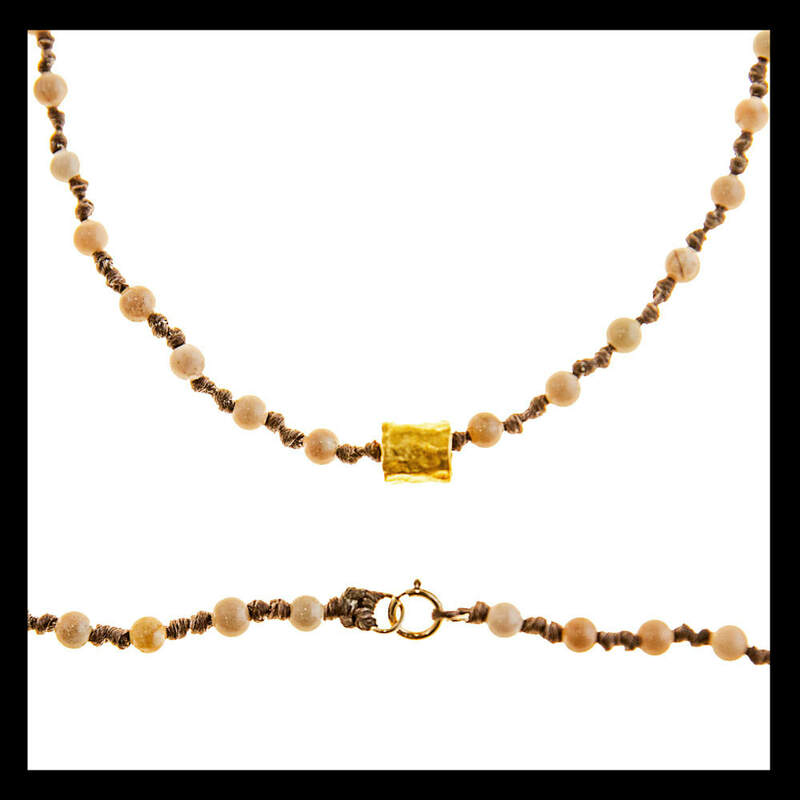 Ask the Mantra Bead “In the light of the Mantra and the purity of the organic gold, what will be the answer to my question?” Allow the Mantra and the Golden Light to fill your heart with understanding. May the elements of this creation abide in me in full manifestation. I humbly welcome into my life the transcendental energy of Lord Shiva, who removes and destroys all un-necessary ego attachments that no longer serve my higher aspirations. Supreme Soul manifested as the Divine Mother and as the Divine Father - I bow in deepest reverence. Known as the Moola Mantra, or root mantra, these sounds free us from the mind, so we can enter a space of reverence for the Divine in all its many forms and manifestations. Salutations to the great Lakshmi as you pour forth your blessings upon me. ‘Shreem’ is the seed sound for the principle of spiritual abundance of which the Goddess Lakshmi is the personification. ‘Maha’ means ‘great’ and this means not only in quantity but also in quality. Lakshmi is also the goddess of wealth and prosperity. 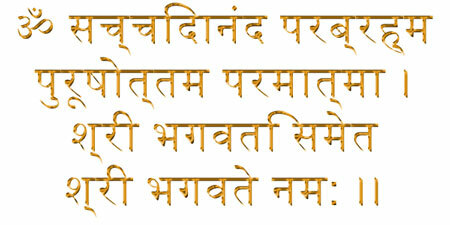 Invoking her through this mantra can inspire tremendous creative energy. Organic gold is gold that is found and collected in rivers or in places that it has naturally risen up to the ground surface. It has never been treated in any way, and retains all of its original qualities – Flexibility, Conductivity, Purity & the Frequency of Golden Light. It is gold that shows itself to us as a gift from Mother Earth. Inorganic gold is aggressively dug up by heavy machinery, and extracted from kilometres below the Earth's surface. Moving thousands of truckloads of soil and treating the gold with harsh chemicals is the way it is separated and cleaned. Pure gold found in nature is 24 carat. Any other forms such as 22 carat all the way to 9 carat, white gold, rose gold and others, are not pure. 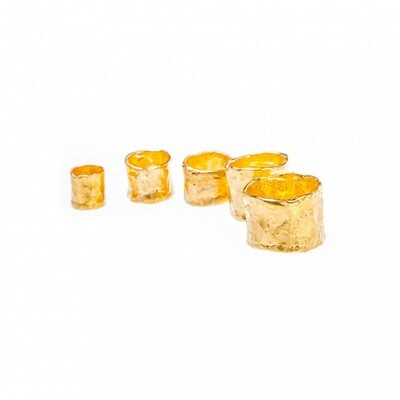 They are different combinations of metal alloys mixed by chemical treatment, diluting and changing the pure and unique molecular structure of the gold. The end result is a cheaper product, easier to sell to mass markets, easier to design and easier to profit from. But these products don't vibrate with the unique frequency of gold, the same frequency as the gold from ancient times that humans from all civilisations appreciated and valued so highly. The way gold has been commodicised is similar to the food and pharmaceuticals industries. The most simple organic food and medicinal herbs (and the ancient knowledge continued through them) have been pushed away in favour of synthetic, inorganic products that are harming our health and the environment. Pure organic gold is vibrating Flexibility (non-resistance), Conductivity (non-judgement), Purity (no attachment) and the frequency of Golden Light (the bridge between our earthly existence and our spiritual existence). What a gift from Mother Earth! Be soft and flexible with life events and meet what comes to you with fresh eyes and no resistance. Let go of the friction of judgment and preconception to become a good conductor of freely universal energy. From the never ending field of possibilities, choose the one you want to be with in any situation in your life. These are the earthly, natural qualities that pure gold carries. If applied to our life interactions, relationships, communications and creative flow, we can transform any moment into a golden moment, becoming an open vessel for the golden light to shine within, and creating a bridge between our earthly and spiritual existence.